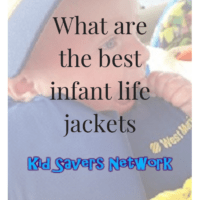 What Are The Best Infant Life Jackets in 2019? You love your little guy or girl more than words can express. It’s your job to take care of your child and you want to do your very best. These feelings come to the forefront when you begin searching for infant life jackets. If you just had your first baby, you may be wondering how your love for the water will work with your new addition. Some people initially think that mixing babies with water is irresponsible. The truth is it’s only irresponsible if proper safety measures are not considered and implemented. Some who haven’t looked for a life vest designed for babies wonder if there are good options available. Once they find that there are, they can tend to feel a bit overwhelmed with all the choices out there. Read on to find the perfect infant life jacket within your budget, that will keep your infant safe and comfortable. When Can a Baby Go On A Boat? 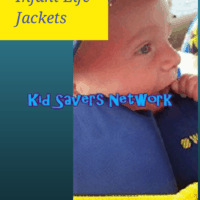 How Safe Are Infant Life Jackets? 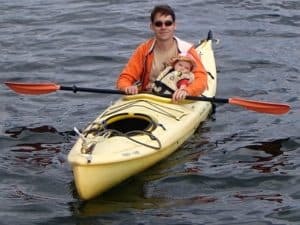 How Much Are The Best Infant Life Jackets? 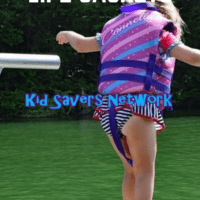 How Long Will An Infant Life Jacket Last? 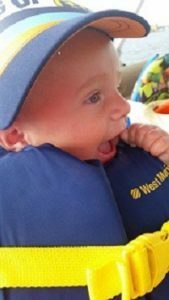 While researching Infant flotation devices, we took a close look at the guidelines laid down by the United States Coast Guard. We ensured that all of the life jackets featured were suitable for infants (i.e under 30 lbs) and were all rated Type-II personal flotation devices. You can find the summary above and read on for reviews of each design. The O’Neil Superlite Infant Life Vest flips babies onto their backs should they fall into the water. It’s also more comfortable than the Stearns option. It features a crotch strap and handles on the sides. The neck support inflates giving extra comfort and safety. They price of this infant flotation device is very reasonable for safety and comfort provided. Soft and comfortable. Adjustable safety belt between the legs keeps vest secure. Durable exterior, nylon panels with PVC backing. Improved ease of entry and Ultraviolet protection. The Kidder Infant is at the high-end of the market but it’s proving a winner with parents. There’s always a trade-off between safety and comfort and with the kidder you can get both. This infant life jacket is made from soft foam. Many parents are reporting their children don’t fuss and find it easy to drift off to sleep. It’s not recommended for swimming, but if you’re looking for a very comfortable PFD, this is it. You can also get a really cute pink color, which you’re little girl will just love! In the boating world, you can’t get much better than Coleman. A trusted American brand, their infant PFD is safe and comfortable for babies under 30lbs. What I particularly like about this one is it has closed sides which a lot of designs don’t. This adds a feeling of warmth and security. It also has adjustable chest and leg straps to help it fit your infant perfectly. At around half-the-price of it’s competitors, you’ll be hard pressed to buy a better infant life jacket for the money. Specially fitted for infants under 30 lbs. The Stearns Infant Classic is Coast Guard approved and comes with all the typical features of an infant vest. This includes a crotch strap as well as well as padding behind the head to keep your baby safe. This one is generally not considered the most comfortable option out there. Despite this, the design is high quality and the price is right for many families. Along with the Coleman vest (above), this is a great budget life vest. The Stohlquist infant life jacket has a V-cut in the front so the vest won’t rub against your child’s face. This one is not as bulky as the Stearns. It makes for a sleeker fit that will be especially appreciated if your infant will be wearing it for an extended period of time. Like most life vests for babies, it includes a crotch strap, is USCG certified and has grab handles. This makes for a more comfortable option. Parents with babies as young as eight weeks give this one great reviews. Therefore, if you’re looking for a life vest for a newborn instead of an infant, this is the one to get. There are varying opinions as to when babies should be taken into the water of a pool or on a watercraft. Some sources you look at will say within a few weeks of age and others will recommend considerably longer. The US Coast Guard’s recommendations on the matter are very similar to that of the Minnesota DNR. They advise testing an infant PFD (personal flotation device) out in a swimming pool before going boating. It’s important to check if the infant can float in a stable, face-up position comfortably. Ultimately, as long as you are within the legal requirements of your area, the choice is up to you. There’s no need to feel peer pressure because someone else has differing ideas than you about what age to have your baby around water with a life vest. Some life vests for babies are considered safer than others. The reality is that if they weren’t consistently safe to a certain standard, the company selling them would be sued out of existence. If the courts didn’t finish the job, the negative press certainly would. A good comparison is car seats for children. Parents recognize that all models are safe to a certain standard. However, if they can get one that is considered safer than others that is still in their price range, they’ll go for it. The same holds true for life vests for babies. It really is important to consider the US Coastguard’s recommendations with safety. They advise that a Type 11 Infant PFD be purchased and then immediately tested in a swimming pool. 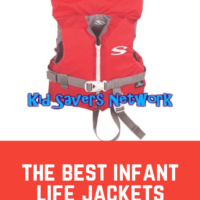 Like most baby products, there’s a lot of infant life jackets to choose from. If you want to spend top dollar, there are companies who can provide some really high-quality designs. If you’re on a tighter budget, there are options for you, too. Like anything, you generally get what you pay for. Many weigh-up the “Cost-per-use” with the frightening speed infants grow and opt for a mid-range model. Depending on size, you can pick a brand-new infant life jacket up for around $12. A high-end variety will cost around $50. You can check here to see current bestsellers. Be sure to check out our recommendations for further advice. When considering an infant life jacket, it’s important to understand how manufacturer’s size “Newborns”, “Infants” and “Toddlers”. Generally, babies are considered newborns from zero to three months. From three months to a year, babies are considered infants before moving on to the toddler stage after that. As well as age, weight plays a factors too. It’s common to find life vests for infants “under 30 lbs” and over 30 lbs is targeted at the toddler market. As with all things baby, it really depends on your individual child. That’s why reading reviews is a must as parents report how well the life vest fitted their own baby. Comments like, “My baby is 6 months old and a bit on the small side but this life jacket fitted well” are really helpful. If you plan to have (or are surprised by!) more children, choosing a gender-neutral color is a smart idea. This will prevent you from having to buy another life vest for your son because his older sister had a pretty pink one. Keeping this in mind can save you a decent chunk of money and needless inconvenience in the future. The reality with any life vest for newborns or infants is that, almost without exception, your child, will outgrow it before they wear it out. This means you will likely pass it on through a garage sale, a charitable donation, family member or friend. If you have more children, they will likely wear it after the child you bought it for. As a result, you are likely not purchasing it just to keep your baby safe. There will likely be other babies who use what you purchase. You want to make sure everyone will be as safe as they possibly can be. Choosing a comfortable life jacket is difficult as our aren’t able to tell you they feel uncomfortable. If they can’t tell you in words that they are unhappy, they will have to tell you by crying. Of course, this will be unpleasant to parent and child alike. Again, it makes good sense to test the life vest out first in a swimming pool. This way, you’ll be able to closely monitor their reactions in a somewhat controlled environment (kids pool can and do get a little crazy at times!). Some parents wrongly assume that it’s “good enough” to keep their newborn in a car seat while boating. True, it may be more convenient for the parent and more comfortable for the child. The problem is, though, if you were faced with an emergency while on the water, the car seat containing your little angel would sink. This is the battle of comfort and convenience versus safety which is a constant reality for both children and adults alike. It can be inconvenient and uncomfortable for children to be buckled in car seats at all times while in commute on the highway. As long as the life jacket is comfortable enough to wear, safety should always take precedence. Always keep in mind that environmental factors will impact the comfort of your child too. Children, and to the greatest degree, babies, cannot withstand the same elements that adults can and remain comfortable or safe. 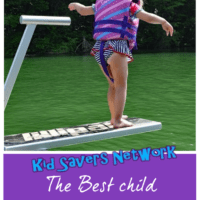 Water and air temperature, adequate food, shelter from intense sunlight as well as mosquitoes are just a few environmental factors to consider when boating with your child. 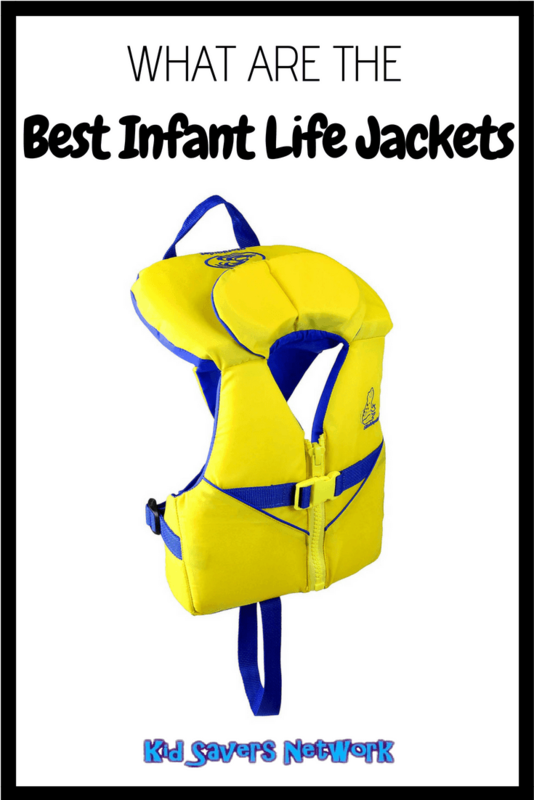 You’ll feel good about making a well-thought-out choice for the best infant life jacket. You’ll also have increased confidence to know that they are at the right stage developmentally to be introduced to the water. Now go out there and build some memories!